We have heard about wearable fitness technology that has been used by international trainers to gauge the physical movements of athletes. Motion capture suits have been used by both gymnasts and cricketers as a tool to work upon their motion on the field. However, this has been always limited to high end training programs. Not anymore! 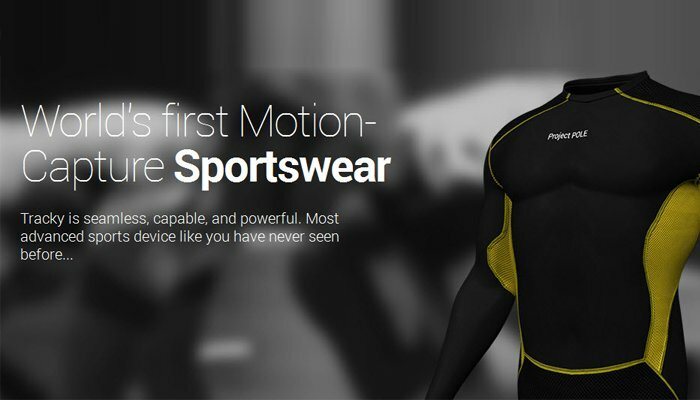 An Indian startup by the name of ProjectPOLE has come up with a motion tracking suit called the TRACKY that can be used by even amateur athletes to monitor performance. 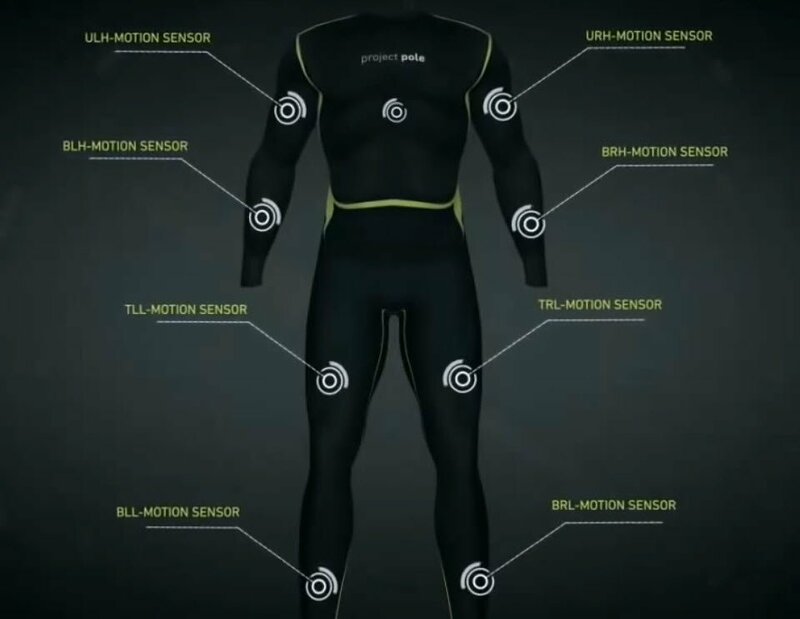 The suit comprising of compression tops and pants is integrated with 11 9-axis accelerometers, a temperature sensor and a heart rate sensor all these devices are connected to the ‘hub’, a memory tracking device embedded into the shirt strap. 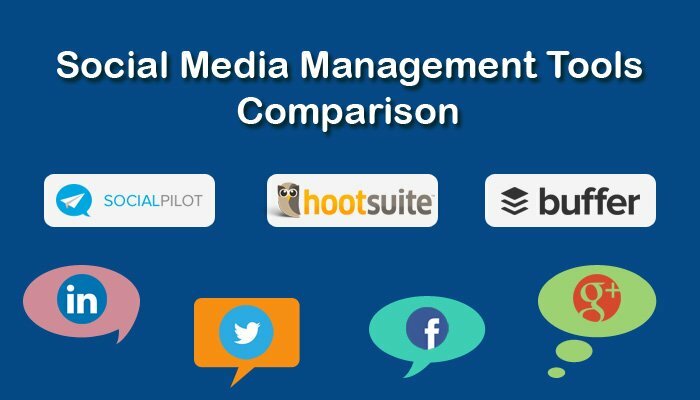 The data that is collected includes several biochemical analyses that can be put into a comparative study for performance evaluation. Further, TRACKY will be able to provide feedback to users whether they have been able to meet their exercise goals. All the data is transmitted wirelessly via Bluetooth or Wi-Fi to your Android or iOS device, along with the tips to improve fitness activity. This certainly is not the first time that such a suit has been made. Similarities can be found in Heddoko but TRACKY is unique in catering to a larger mass (semi professionals). The intelligent sportswear will help athletes maintain optimum heart rates by timely warnings to stop of rest. TRACKY is currently up for booking. An Early Bird special registration will cost you $179 but users can also opt for the Indiegogo Special price of $99. ProjectPOLE will start shipping the orders by September later this year. Almost anyone looking to improve upon their fitness and exercise regime! The gym lover: Workouts need perfect muscle movements accompanied by a persevering heart rate. TRACKY’s live feedback will help you analyze your body movements by the minute and you can choose to work upon the efficiency report. Yoga devotees: A perfect posture is at the core of yoga exercises and meditation. If you are training alone, TRACKY can guide you by sending feedbacks on your posture, heart rate and body temperature. Sports enthusiast: TRACKY incorporates a huge range of sports into its cloud database. 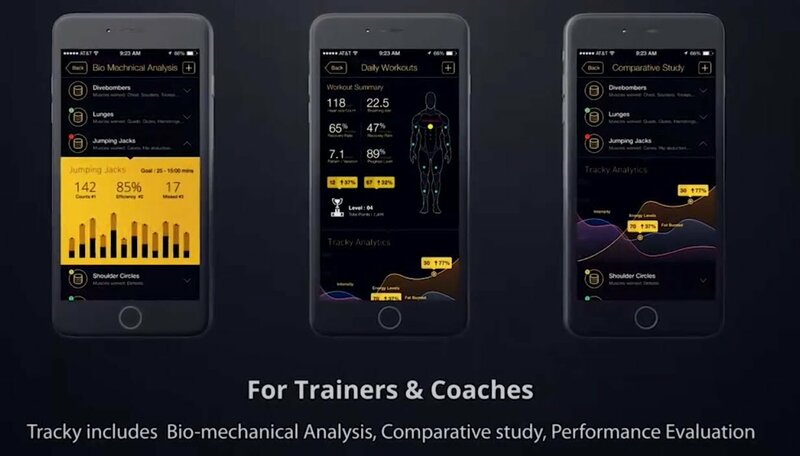 Whether you are a runner, cyclist, boxer, footballer, or tennis player, TRACKY analyzes your hooks, dribbles, jabs, volleys and swings and presents the report in an easy to understand format. This will help you improve the precision of your movements. ProjectPole also provides it’s API so developers can create apps for new sports and measure all body movements of trainer. Coaches and trainers: A coach will be the perfect person to make good use of the TRACKY costume. It presents graphical reports of performance and exact body movements that can provide a suitable direction to training. Consequently, you can help your trainee to work on specific areas of fitness. Bio-mechanical researchers: Users inclined towards sports sciences now have a more affordable device to understand body movements. Feedback has always been an essential part of sports and fitness training. With TRACKY, you are now a step closer to achieving your goals!